Res Care is a great preventive maintenance product made better by the Pro Easy Feeder. Fill it and forget it definitely qualifies as easy. 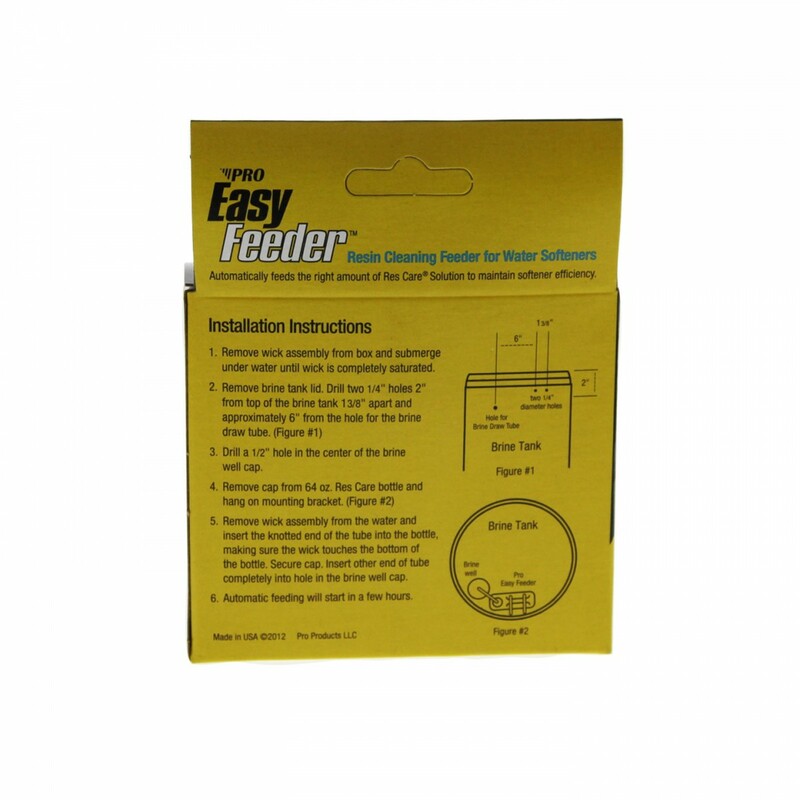 The feeder will automatically dose the correct levels and keep your water softener operating at peak efficiency. 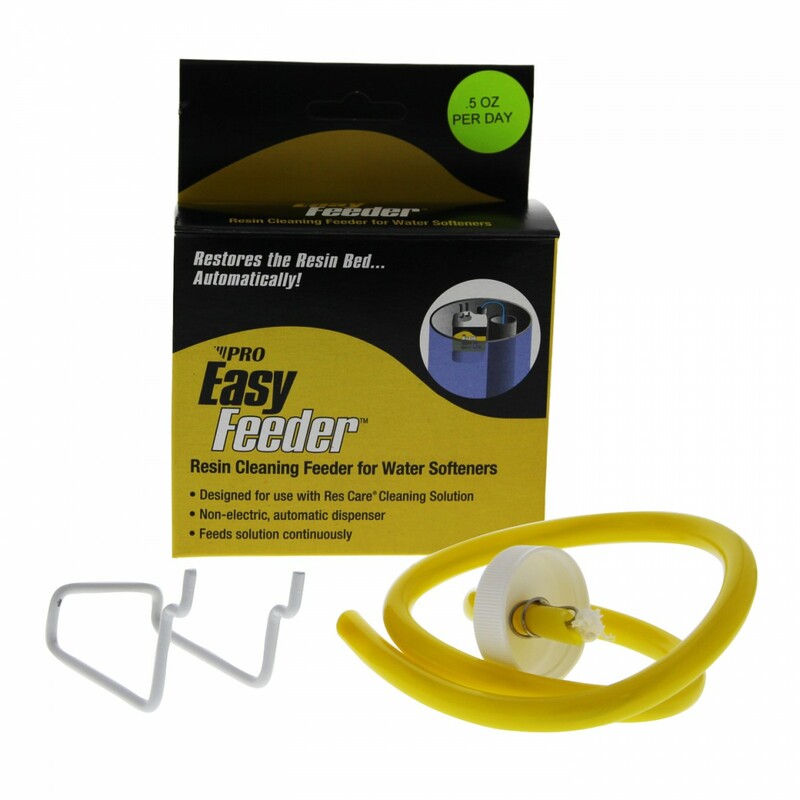 Your softener needs more than just salt, and the Pro Easy Feeder is the best way to give it the Res Care it needs. The Pro Products Pro Easy Feeder Automatic Resin Cleaning System. Automatically doses Res Care at the proper rate. Designed for use on all standard water softeners. Made in the USA.